All is well since all grows better! Hello all and welcome to the website for Carnegie – A New Musical. Over the next few months I’ll be blogging about writing this new musical. 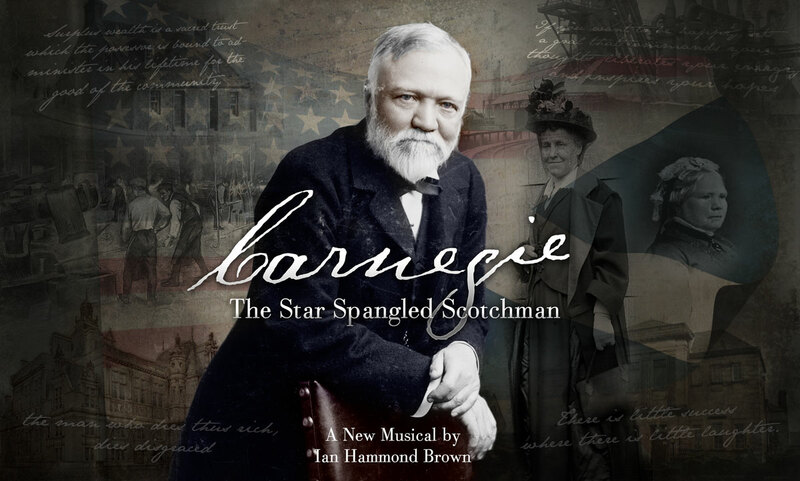 So why a musical about Andrew Carnegie? Well, why not! It’s a great story, a true rags to riches tale – the son of a poor weaver who moved with his family to the USA in 1848 and through hard work, shrewd investments, great business acumen and lots of controversy he eventually became the richest man in the world. Selling his steel Business, in 1901, for $480 million! He spent the rest of his life giving his wealth away through strategic philanthropy setting up many organisations which to this day continue to fund good causes throughout the world. I’ll be sharing the highs and lows of the writing process leading up to the workshop and showcase in November. I hope you can join me on this exciting journey!